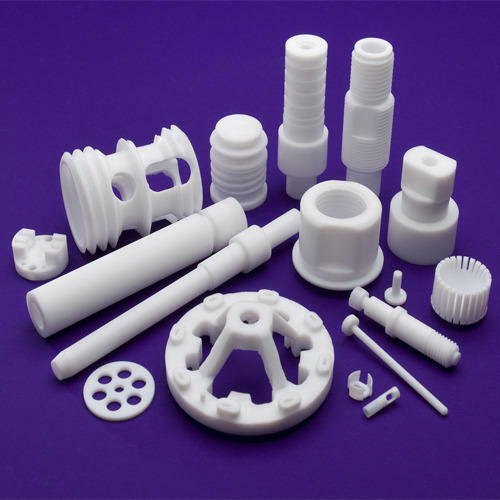 We manufacture and supply superior quality PTFE products, PTFE moulded products for different packaging applications. Bonded with excellent quality of graphics, our PTFE products are lubricated with an insert high temperature lubricant. We supply a wide range of top quality PTFE Packings. These products are made of pure PFTE to ensure excellent quality and perfect finish. Highly acknowledged for good strength, our products are used as mechanical packings in chemical and mechanical applications. Our team of quality analyst tests all the products on various parameters to ensure that they are in compliance to the industry standard. We manufacture and supply superior quality PTFE bellows for packaging of lined pipes. Specially designed from virgin P. T. F. E. , these are contour moulded. The streamlined manufacturing process ensures an excellent structure of the material, durability and low maintenance costs. and are designed for resisting highly corrosive chemicals plants and pipings for aggressive medias. We produce these ptfe bellows in different size ranges from NB 25 mm to NB 500 mm, which can be used upto 2000 C. The allowable operating pressures depends on service conditions. Installed in PTFE Lined Carbon Steel Piping and equipment without additional gaskets, Our bellows are suitable for usages in piping and equipment made of glass, enamels and ceramics. The sealing surfaces are covered and end plates are individually boxed to ensure protection against mechanical damage. Limit bolts are preset to prevent over extension during the operation. The figures for compensation D X, which are as shown above, do not apply to lateral to angular installation at the same time. We can also provide various other specifications, dimensions and vacuum service on request. The importance of PTFE machined & moulded products becomes more important as it is often more efficient to use moulded semi-finished products to avoid excessive machining of relatively expensive materials and for reducing the machining labour and time. The tooling costs are normally very low. We offer these PTFE products in two forms viz milled form and slit form. Milled type envelope is a better method as it is made to fit the insert and presents a flat face to tee flange. The Slit type is perfectly adequate for applications where cost is considered a major factor. The envelop in this type does not present a full face to the flange. Solid Gaskets can also be made in different types of shapes and sizes on request. Can also be supplied in oval shapes and larger sizes on request. These gaskets are widely used for applications in chemical plants, glass/glass lined equipment due to their high temperature, corrosion and durability. Envelope Gaskets are produced in two forms viz. milled and slit forms. 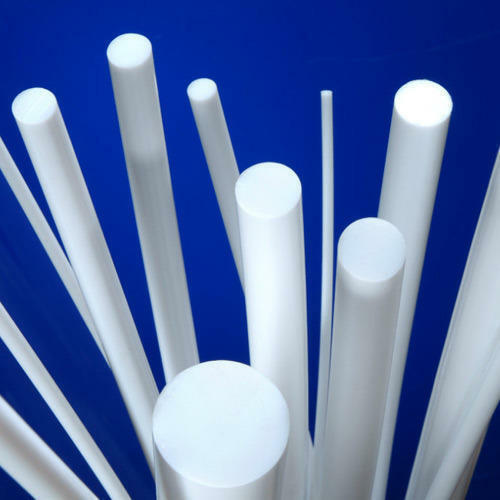 We are one of the finest suppliers of top quality PTFE Rods. These products are available in different diameters, lengths, sizes, thickness, widths, grades, and other technical specifications. Highly efficient, these products are manufactured using a high-quality raw material, which is procured from the trusted vendors. We also customize these products as per the specification of our customers to the varied needs.